A big thank you to SNEB members Matt Graziose and Pam Koch for organizing the SNEB webinar archive. That was no easy task with 75 recordings available free to SNEB members. They identified 24 primary categories from Adolescents to Weight Management and sorted these valuable resources accordingly. Download an interactive pdf file here. Thanks to an exciting partnership between TEDMED and SNEB, TEDMED is offering SNEB members access to their entire 2014 program of more than 70 Talks from transformative thinkers in health and medicine. Read more about TEDMED here. Click here to sign up for free access to TEDMED live streaming. Sip Your Way to Better Health - What's the Truth about 100 percent Fruit Juice? Did you know that as a member you can access the SNEB member directory and search by Last Name, Organization, Division, State, Country and Credentials? Plus the directory will tell you how long someone has been a member! Remember; if you need to update your information, click here. Click here to search the member directory. Objective No. 3 in the SNEB Strategic Plan is to build collaborations with organizations, industries and government to promote healthy communities, food systems and behaviors. As reported in the 2014 Annual Report, SNEB has more than 30 collaborations established! It's the canning and freezing season... if you work with this topic at all, please help get out accurate information. There is a lot of misinformation going around... some of which could have serious health consequences. Washington Dairy Council's MyPlate Wheel is an interactive tool to help individuals determine how many servings they need based on their age and activity level. My Personal Plate Master is a companion piece to help individuals record information discovered by turning the wheel. Read reviews of these two resources here. Washington Dairy Council's MyPlate poster asking the question: "What's on Your Plate?" See reviews on MyPlate eCatalog here. Your Body Works is a two-sided poster put out by the Washington Dairy Council to present the concept of balance between eating and physical activity. It includes teacher tips for reinforcing nutrition messages and activities, asking students to set healthy goals. See reviews on MyPlate eCatalog here. JNEB has added Bret Luick, Ph.D., as an associate editor. 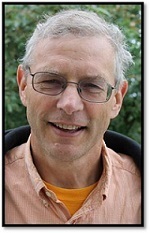 Dr. Luick is an associate professor of foods and nutrition at the University of Alaska Fairbanks. His research interests include social and environmental determinants of food security and diet quality, with particular emphasis on local economic pressures. His currently funded research programs include developing the use of locally harvested fish in schools and use of a social marketing for the prevention of childhood obesity. He has served on JNEB’s board of editors. Authors: Farryl M.W. Bertmann, Ph.D., RD; Cristina Barroso, Ph.D., MPH; Punam Ohri-Vachaspati, Ph.D., RD; Jeffrey S. Hampl, Ph.D., RD; Karen Sell, RD; Christopher Mack Wharton, Ph.D.
A new campaign aims to tear Americans away from their love affair with salty foods. To learn more, click here. Primary care treatment of overweight and obese preschoolers works better when treatment targets both parent and child compared to when only the child is targeted, according to research published recently in Pediatrics and conducted at New York's University at Buffalo and Women and Children's Hospital of Buffalo. Children enrolled in this study were overweight or obese and had one parent who participated in the study who also was overweight or obese, according to body mass index measurements, calculated based on height and weight. The U.S. Food and Drug Administration announced today the availability of updated data for its Total Diet Study (TDS), an ongoing program that measures levels of certain chemical contaminants and nutrients in foods. The newly available data provide findings from foods collected from 2006 to 2011. 'Grow It, Try It, Like It!' is now available in print! Grow It, Try It, Like It! Nutrition Education Kit Featuring MyPlate is a garden-themed nutrition education kit for child care center staff that introduces children to fruits and vegetables. American adults consume 11.3 percent of total daily calories from foods and beverages from fast food restaurants. The contribution of different types of fast food restaurants to the diets of U.S. children is unknown. The proposed changes to the Nutrition Facts Label by the U.S. Food and Drug Administration will include information on added sugars for the first time. Research to be presented at the Annual Meeting of the Society for the Study of Ingestive Behavior (SSIB), the foremost society for research into all aspects of eating and drinking behavior, finds that daily consumption of beverages sweetened with high-fructose corn syrup or sucrose can impair the ability to learn and remember information, particularly when consumption occurs during adolescence. Just about every year since 2007 investigators from CSPI's Nutrition Action Healthletter tour America's chain restaurant landscape to identify those meals that are highest in calories, saturated fat, sodium and sugar. This year's winners are truly some of the most extreme meals in America. The pharmaceutical industry has undergone a vast expansion in the 20th and 21st centuries. This article explores the central role now played by pills in clinical practice, but also in the public imagination.